At the beginning of my journey i found amazon fba blogs extremely useful. In the early days i relied on these blogs to help me learn more about building up my amazon business. I was unhappy in my current job and i was looking for a change, i wanted my own online business! My name is Nick (The guy with the birds nest haircut above) and i have been selling on amazon for nearly five years now, two of those have been full time. When i first started out i was a complete beginner, i had no real knowledge of amazon fba or physical product businesses for that matter. I referred to a number of useful amazon seller blogs almost everyday and they helped me learn most of what i know now. Today i’m going to go through all of my favorite amazon fba blogs, these are blogs that i have genuinely taken value from. At the end of the article i’m going to tell you about some of the other useful information sources I’ve been using over the years. I feel that it’s only fair for me to provide you with all the blogs that have genuinely helped me along my journey. However, if you are anything like me, when you are starting out you don’t have a lot of money to throw about. 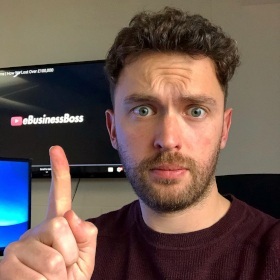 At the beginning it was incredibly important for me to find amazon fba blogs that provided free, actionable value (I didn’t have spare money for courses). Before we jump into my favorite amazon fba blogs, let’s talk about what makes an amazon seller blog useful. What Makes A Blog Useful For Amazon Sellers? I mean that really is the basis of it but let’s expand on this a little further. As i mentioned at the beginning i didn’t have money spare for an amazon course, everything i had available was going into my first product idea! 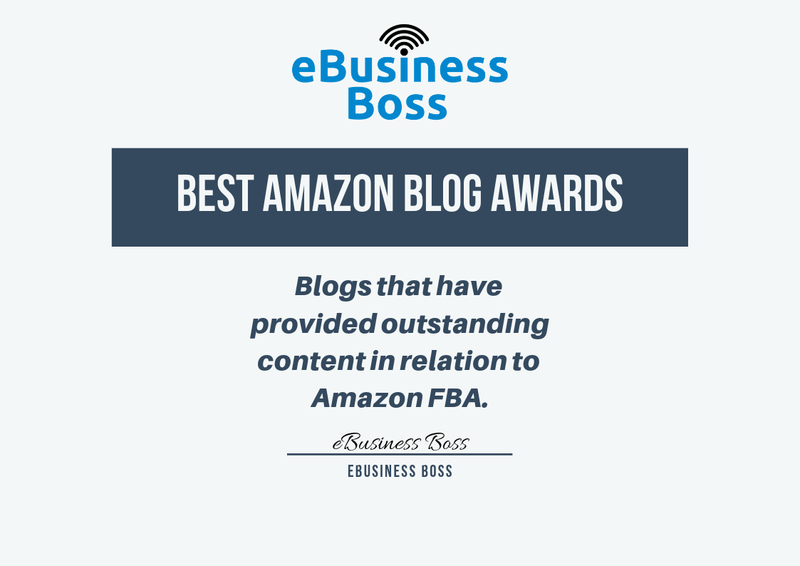 I needed to find the amazon fba blogs with free, useful content! We all need to make money after all, if the information is good why shouldn’t they sell it? But for me at the beginning the most useful blogs are going to be full of free, relevant content. I like blogs with the audience at their core focus, i’ll quickly move on from blogs purely focused on selling me things. These types of blogs actually perform better in the long run, by providing free useful content you can build an audience. The only way we can do this is by offering our readers real actionable value. Of course we still need to find a ways to monetize our site but you can do this in the long term if you build an audience. Ok let’s get into it, as a full time amazon seller i’d highly recommend you bookmarking these blogs. This blog is easily one of my favorites, it’s jam packed with useful tips and strategies for amazon sellers starting out. The company offers repricing software for amazon sellers, if you are an oa seller i’m sure you will have heard of them. We use their software within our online arbitrage business almost everyday. They published this back on 26th May 2017, at the time i found it incredibly useful, it has always stuck in my memory. The content is still relevant, there are a load of actionable tips and tricks you could implement today. Anyway let’s move onto the next. If you are a private label seller i’d imagine that you have heard of helium 10. We started with private label and although we didn’t know about this tool in the beginning we now use it more than any other tool. The following video is a live tutorial to show you how we carry out our product research using their “blackbox tool”. Their blog is full of useful content and its constantly updated. A lot of their content does relate to their specific tools, but you don’t have to buy anything to broaden your knowledge. The software was created by Manny Coats, a legendary amazon seller. He quit his job and went full time back in 2015, the rest is history. Anyway, onto the next one! This was the first ever amazon related blog i read! Trust me it’s a good one, the site has been created around the free value concept i mentioned at the beginning. Our first product choice was hugely influenced by their content, not that they would know that! I remember Will talking about the importance of finding products that were fairly small and light, this way your costs would be less. Well, that was exactly what we did! Our first product was a fruit infuser water bottle, you can see me holding it in the picture below. This product didn’t work out, we dropped it after around 10 months but…. it got the ball rolling for us and we learnt a lot. The product selection was based on a lot of the advice from Startup Bros, that’s why i can honestly say their blog is full of useful content. Startup Bros was created by a guy called Will Mitchell, my favorite blog post has to be the first one i ever read. So Will, if you are reading this thank you for your content, it helped me massively in the early days. I really like this blog, again the websites success has been built on useful content. The blog contains a lot of content relating to eCommerce in general but they do have a lot of useful amazon related content. My favorite post is one from Sept 2016, i remember reading it and completely rethinking my next launch strategy. Again it’s a useful blog to bookmark. The only downside is the sheer amount of content they have, you may have to spend some time looking for the relevant amazon content. In case you are interested their actual software allows you to manage all of your sales channels on one platform. As a beginner i don’t think it will be relevant in the early stages but it’s definitely something to look at as you scale. This wonderful blog was created by a guy called Stephen Smotherman. Stephen and his wife Rebecca took their amazon business full time back in 2011. Their story is pretty incredible, the video below runs through their story. I found Stephens blog a year or two ago, his article on finding profitable wholesale accounts was especially interesting to me. The blog post explains it all pretty well, it’s well worth reading if you are interested in wholesale. In the past year or so we have been building our amazon wholesale knowledge and I’ve gone over this article a couple of times. As some of you will know, i am a big fan of diversification. One of the main reasons we opened our second amazon seller account was so that we could start reselling, utilizing the OA and wholesale business models. Let’s finish up with the last of my favorite amazon fba blogs. I have found this blog incredibly useful over the years, they also have a really useful YouTube channel. If you are thinking about importing products from china, you’ll want to make a note of this blog. The China Importal blog is full of useful content, if you are a private label seller you’d be silly not to have a look. If you want to build a long term amazon business, you need to ensure you are doing things properly. A lot of sellers don’t worry about product certification but as the years go on it’s going to become more and more important. China Importal are the specialists when it comes to doing things properly. The Hong Kong based company was founded by Ivan Malloci and Fredrik Grönkvist. If their content is anything to go by i’d say they know the private label process inside out. Their YouTube channel is also full of useful information, the following 20 minute video is a much watch for anyone interested in private label. A lot of newbie amazon sellers will not naturally think about the fact that China shuts down for 2 – 4 weeks once a year. You need to ensure you are planning your stock around China’s holiday season, if you don’t you are going to be left out of stock. None of us want that, when you are out of stock you aren’t making any sales. I’m sure you can see why i’m such a big fan of this blog. It’s difficult not to like a blog that provides so much free value. Over the years i have learnt a great deal from all of the blog i have mentioned throughout this article. However, there is another useful source of free information you should know about. Amazon related Reddit communities have been hugely useful to me over the years, i think they are massively underrated. If you are interested i have written a full article on my favorite amazon fba reddit communities. In my experience reddit has been full of experienced amazon sellers that are pretty generous with their information. Maybe its because of Reddit’s anonymous nature, who knows! It’s also great to read about how other amazon sellers are dealing with their issues, quite often i can relate to what’s going on. Sub Reddit’s are just like forums, you have a collection of people with a shared interest discussing different topics within the niche. If you want to improve your Amazon FBA knowledge you don’t need to invest in expensive courses. There is so much free useful information out there. 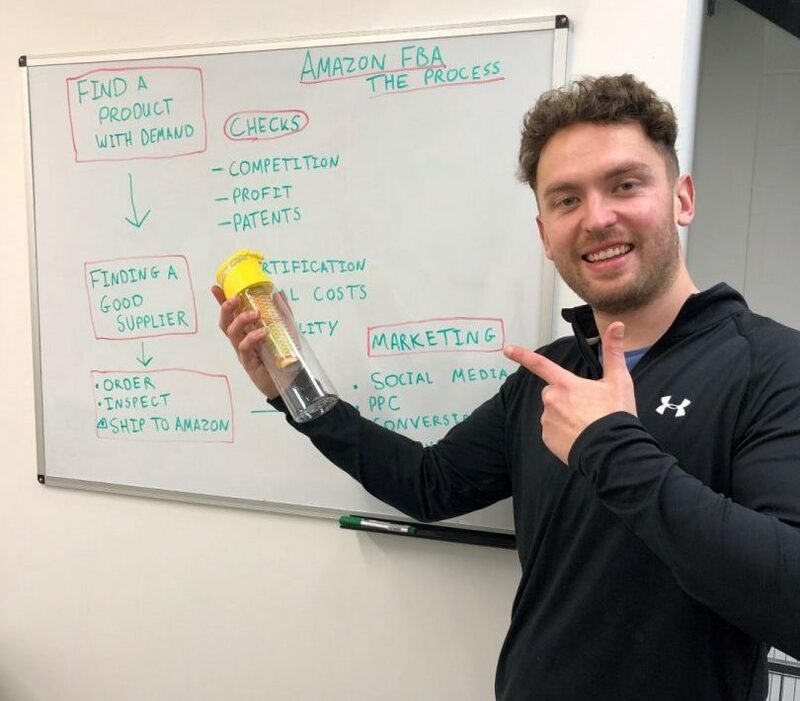 I’m not saying that it’s not worth investing in yourself, three years into our amazon journey we invested in an advanced seller course. It’s taught us a lot about running Facebook ads and building Chat bots! I’ll be honest though i could of learnt it all for free, but it would of taken me a whole lot longer! The best thing about paid courses is the structure, you have a workflow and a progress tracker to keep you moving. We started our amazon business with £1500 (roughly $2000) everything we learnt was through amazon fba blogs and other free resources. I hope that this blog post serves as a useful resource for anyone wanting to learn about amazon fba. The internet has changed everything, make the most of it. I hope you have found this useful, if you have any questions leave me a comment and i’ll get to it right away. There will be more from us soon!